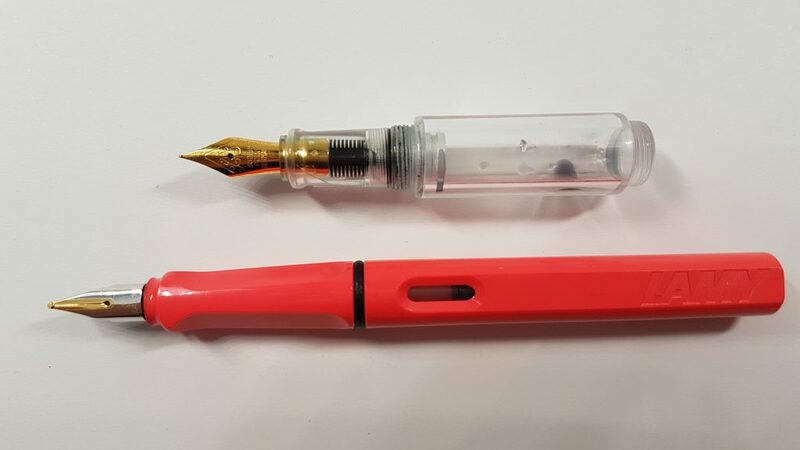 Garunandan kindly gave me this pen during my last Dutch fountain pen meetup – thank you! 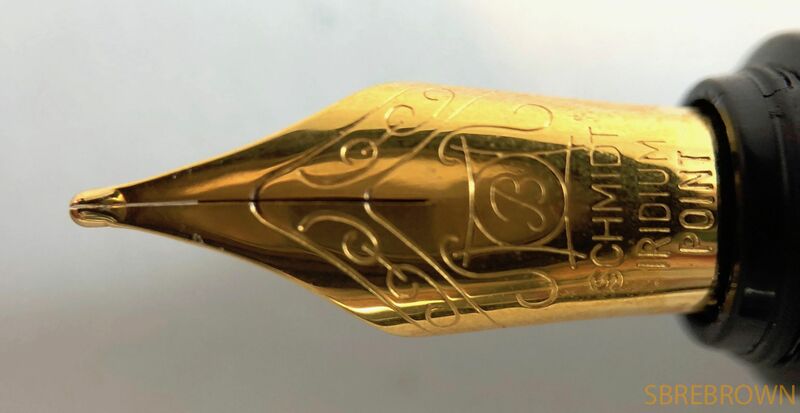 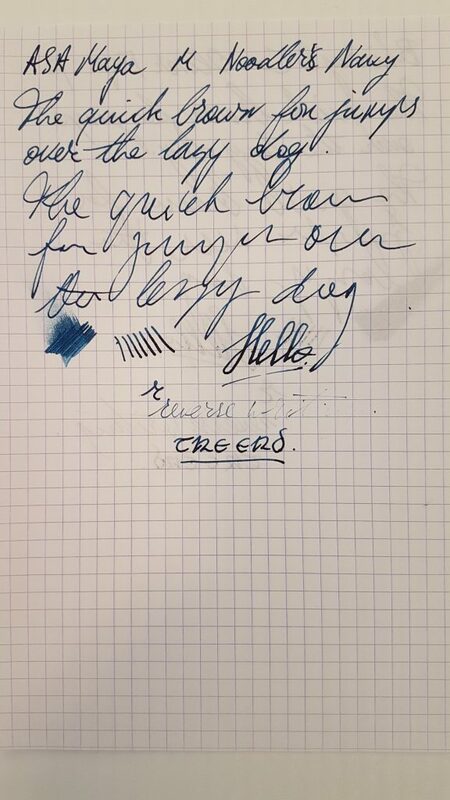 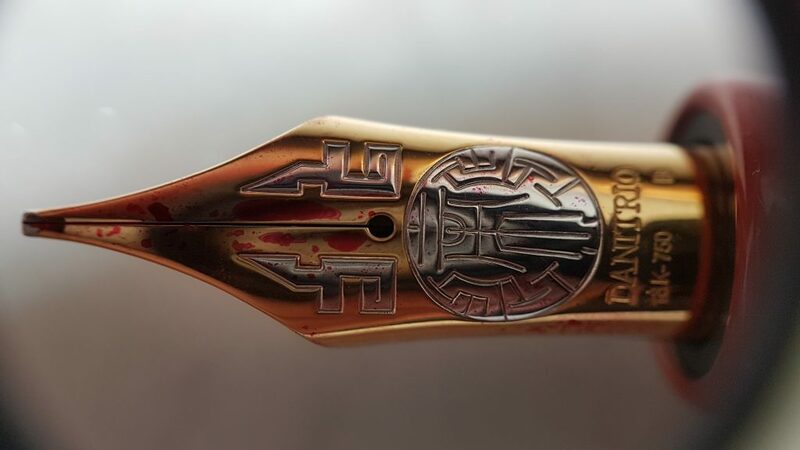 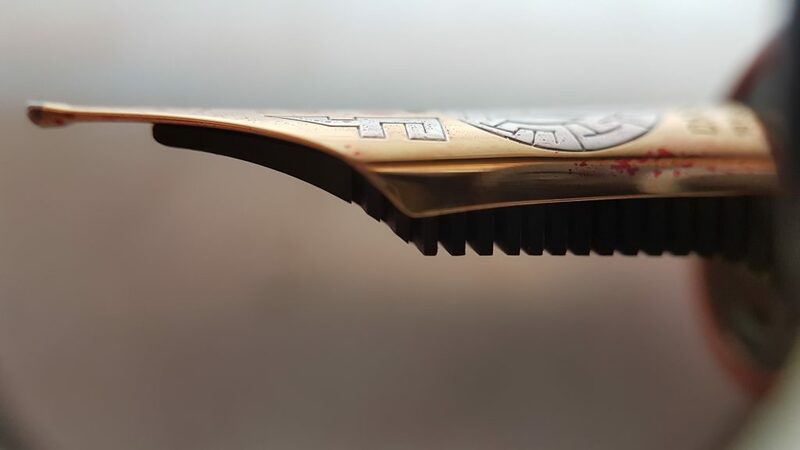 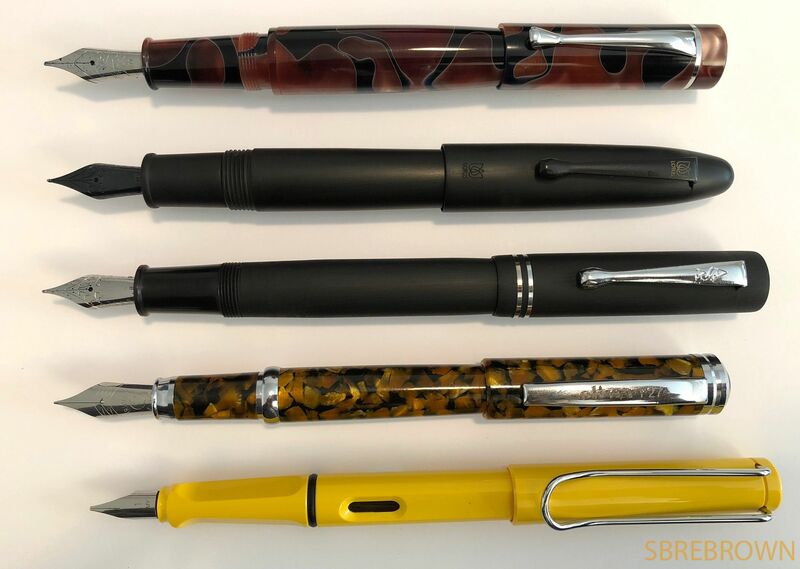 This entry was posted in Fountain Pens, Reviews and tagged Ebonite, eyedropper, Fine Nib, fountain pen, Guider, Indian Pen, Raja Medium, Steel Nib on August 22, 2018 by sbrebrown. 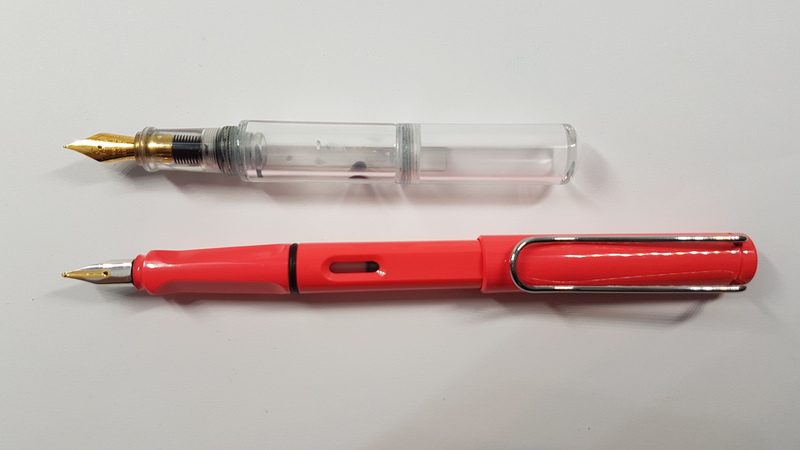 This pen was kindly sent to me by Pen Chalet – thank you! 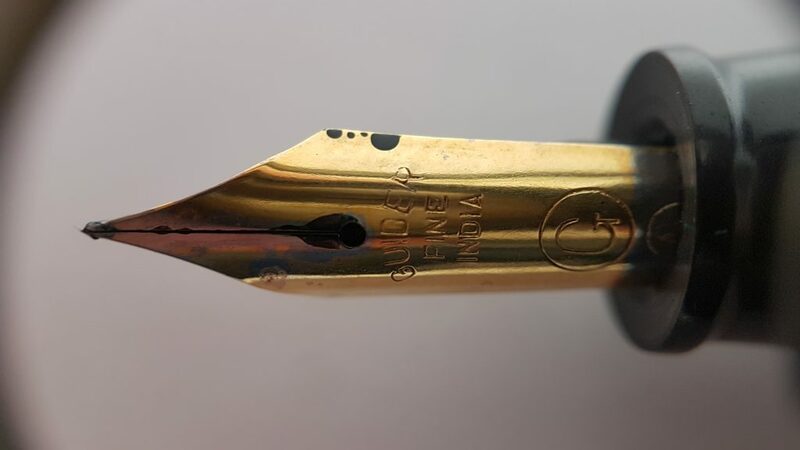 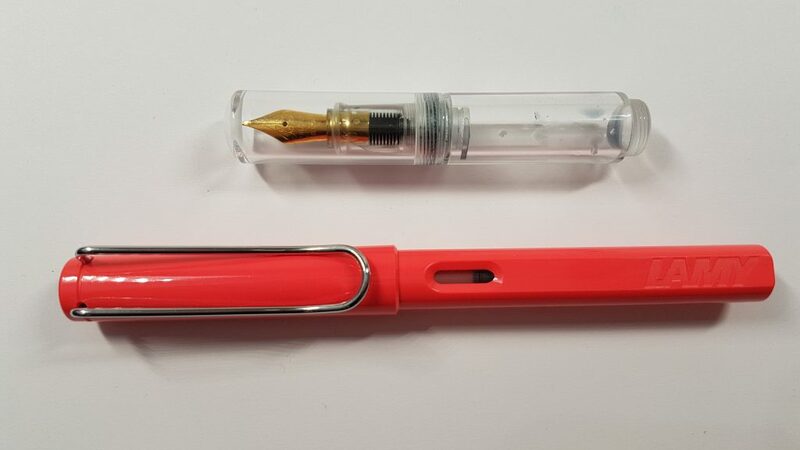 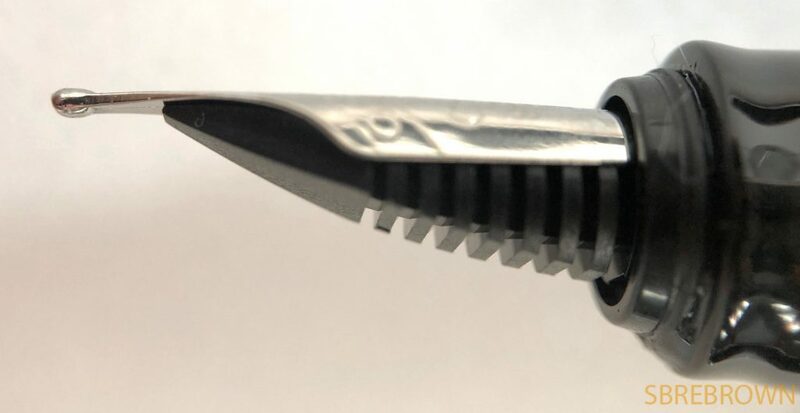 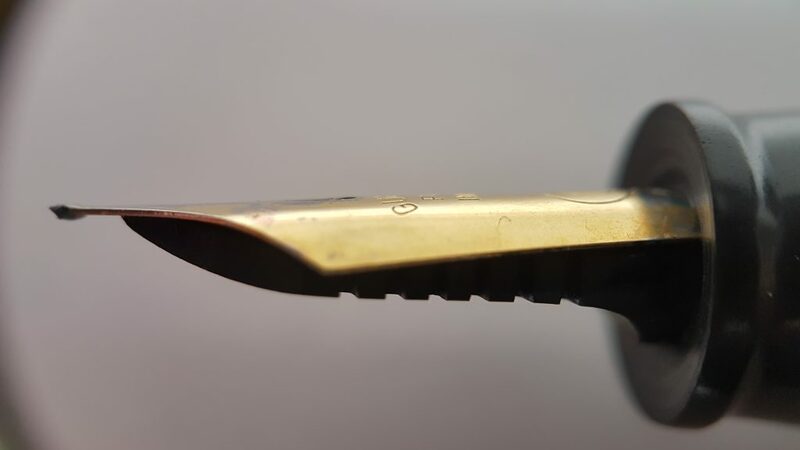 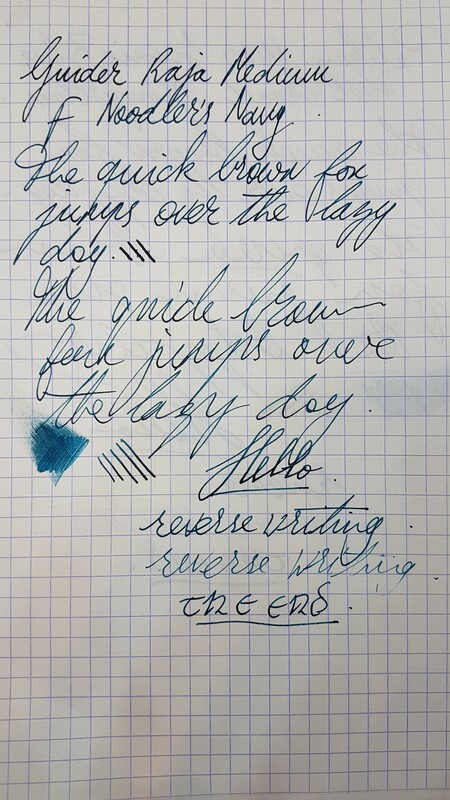 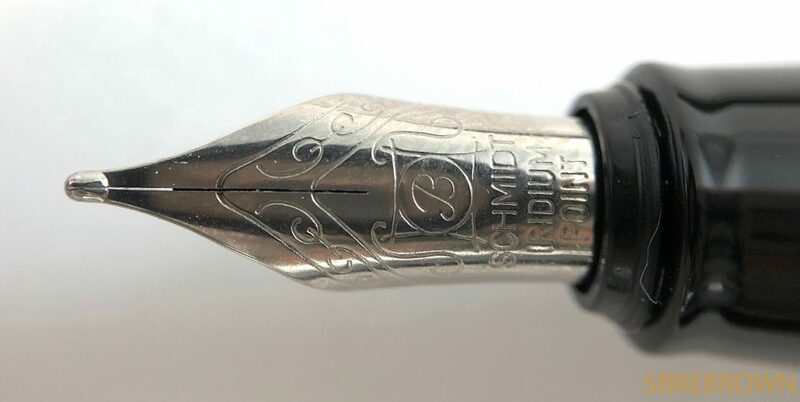 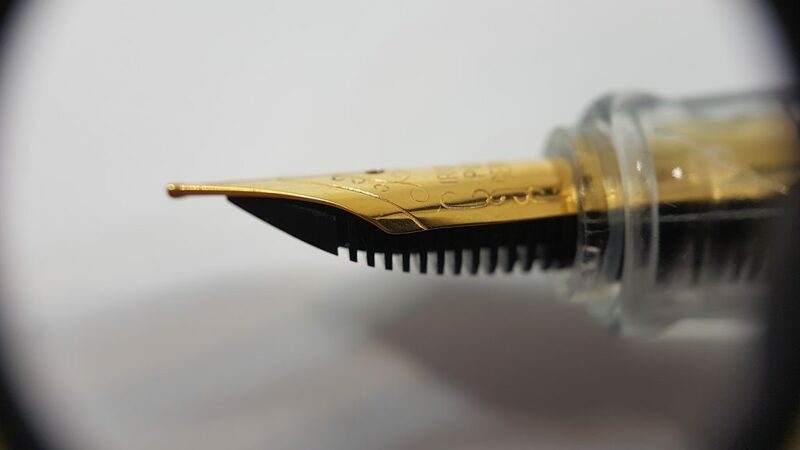 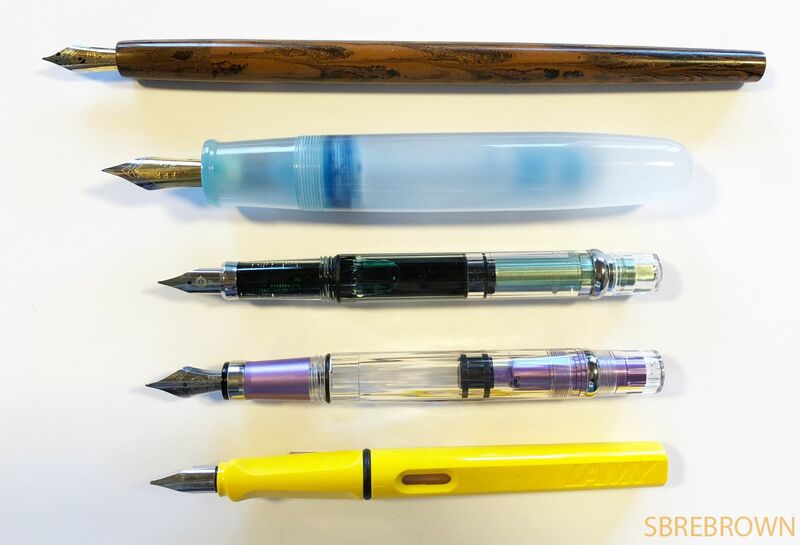 This entry was posted in Fountain Pens, Reviews and tagged #5 Nib, eyedropper, fountain pen, Koloro, One-Way Shutoff Valve, Opus99, review, Steel Nib on July 30, 2018 by sbrebrown. 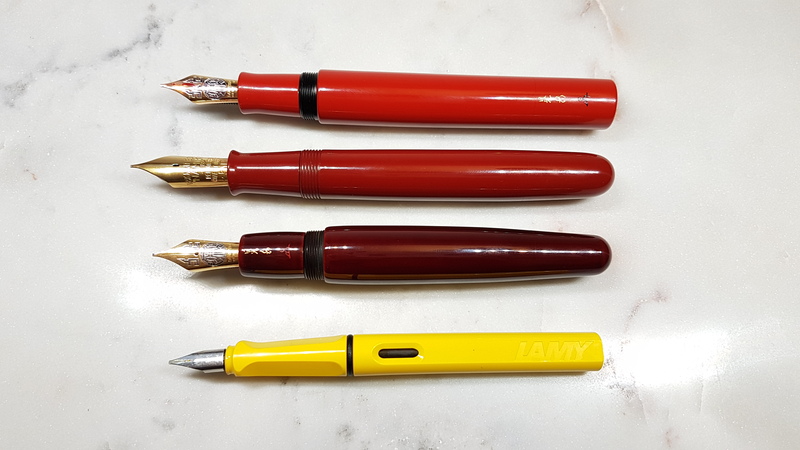 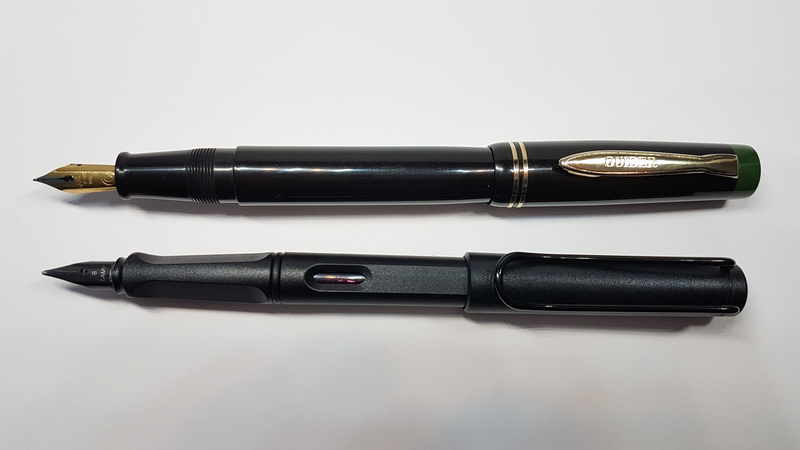 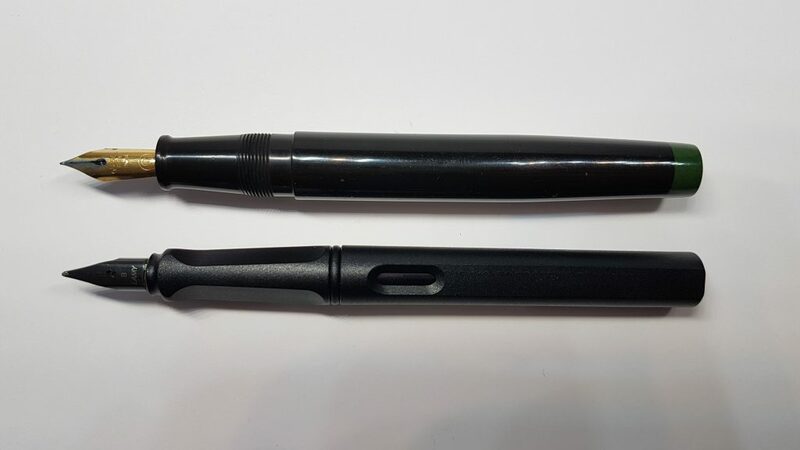 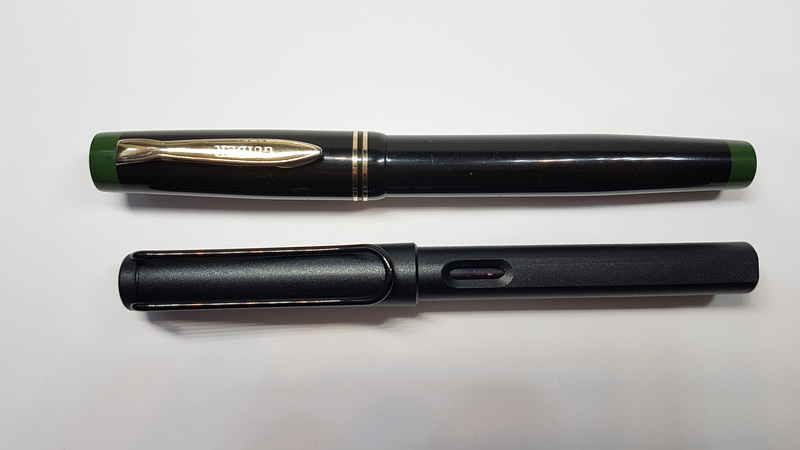 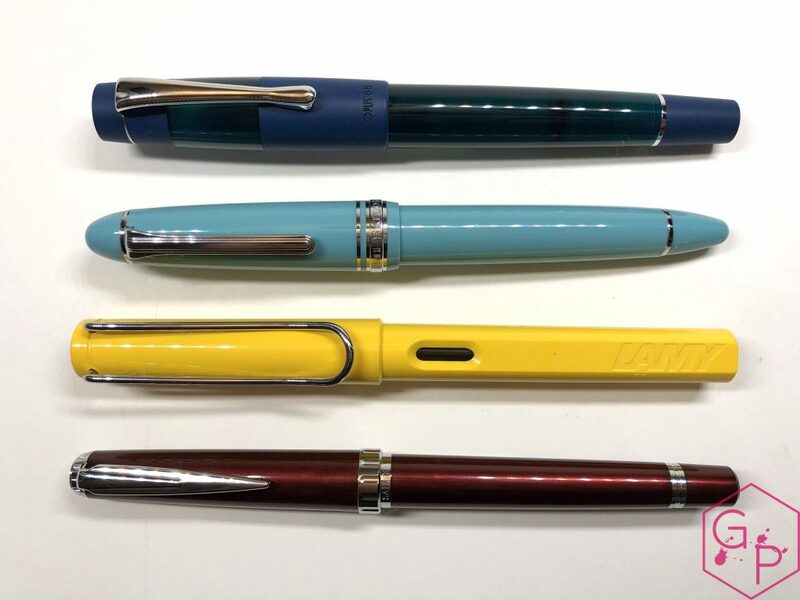 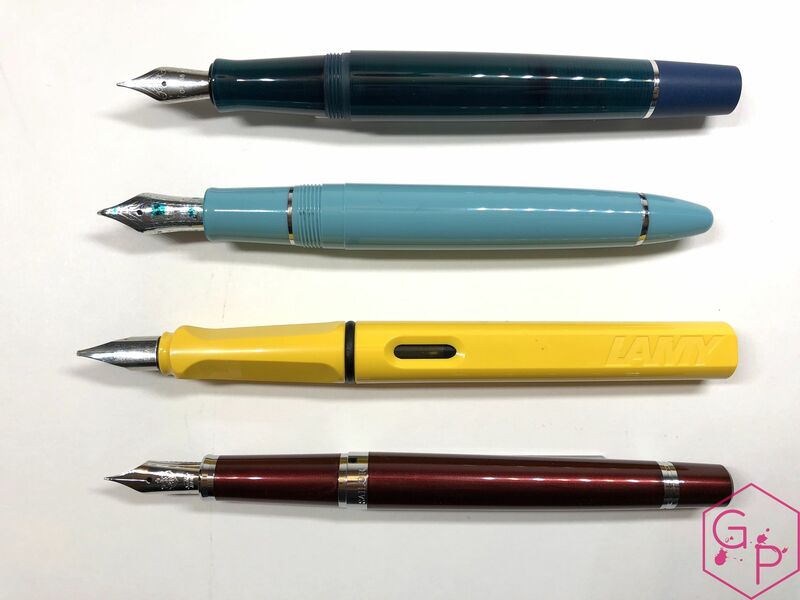 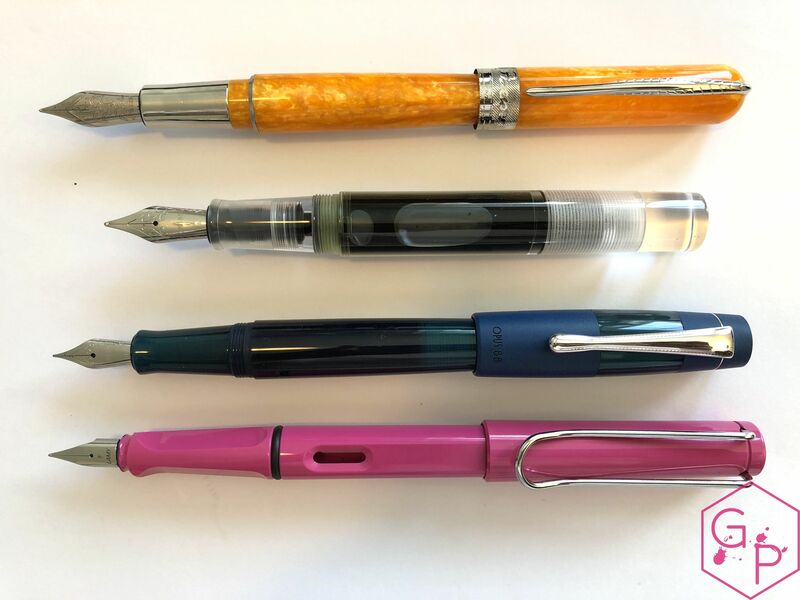 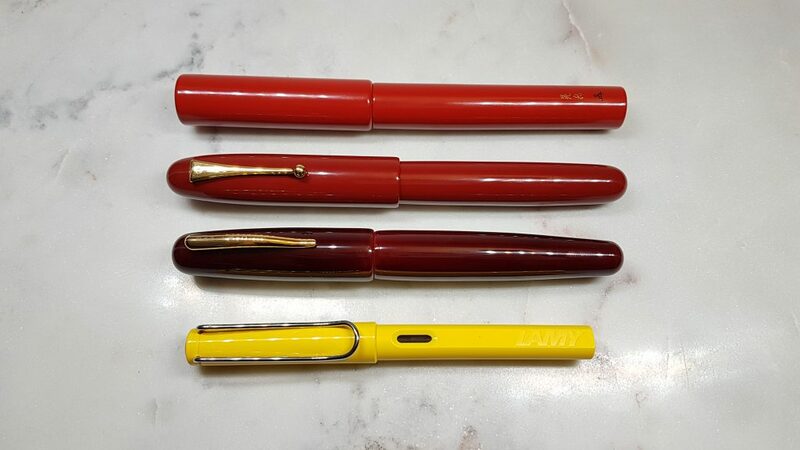 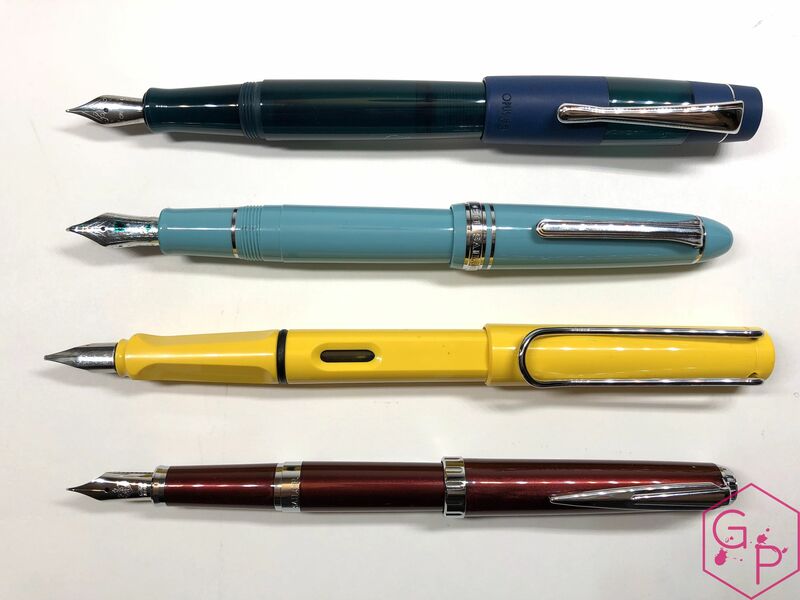 11Let’s look at a couple of oversized fountain pens that only set you back about $100 or less. 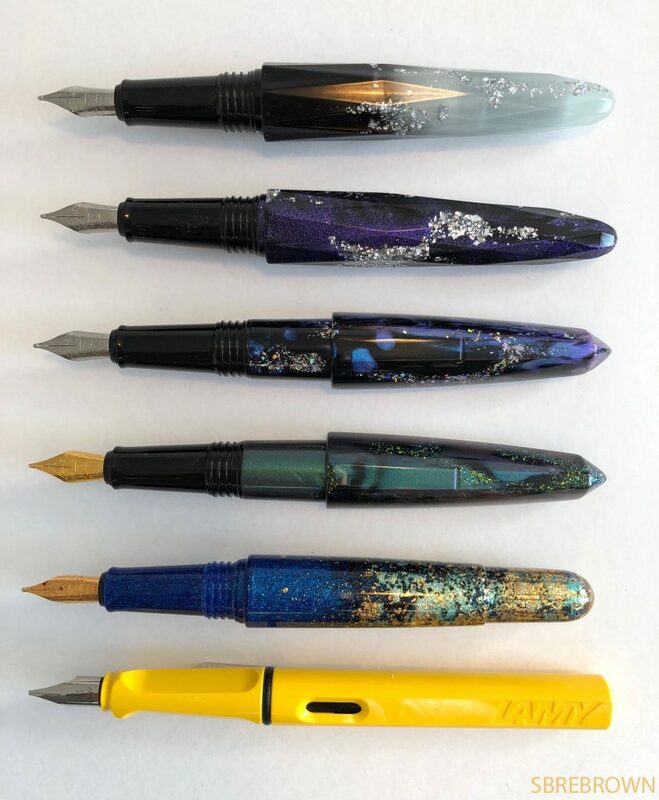 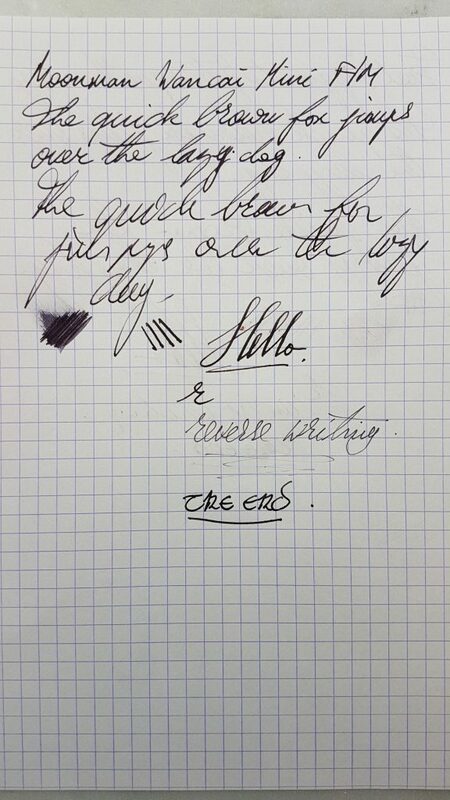 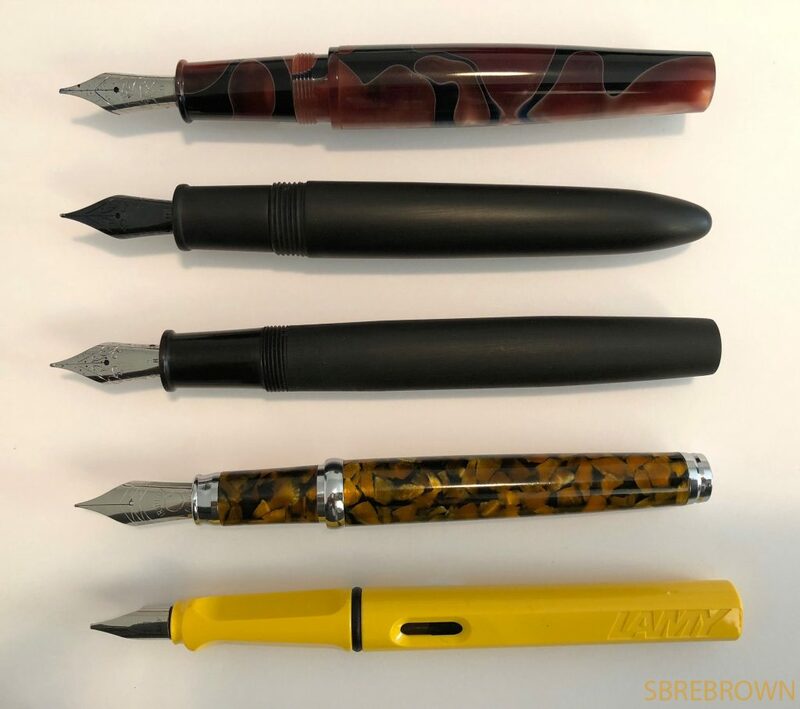 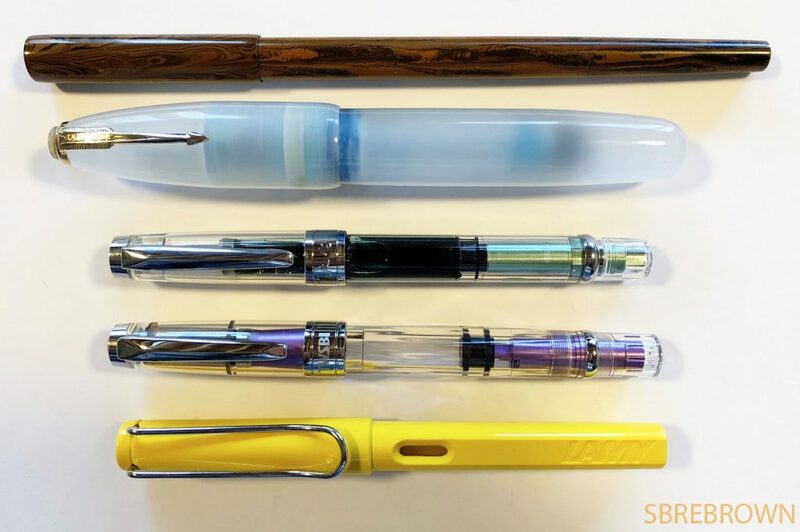 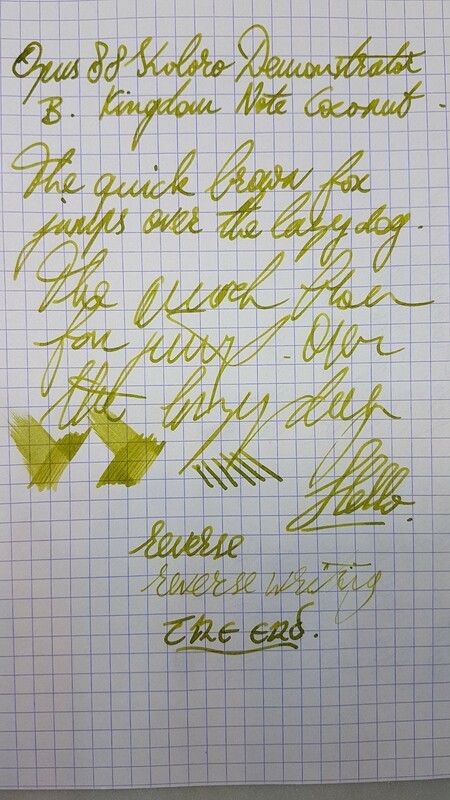 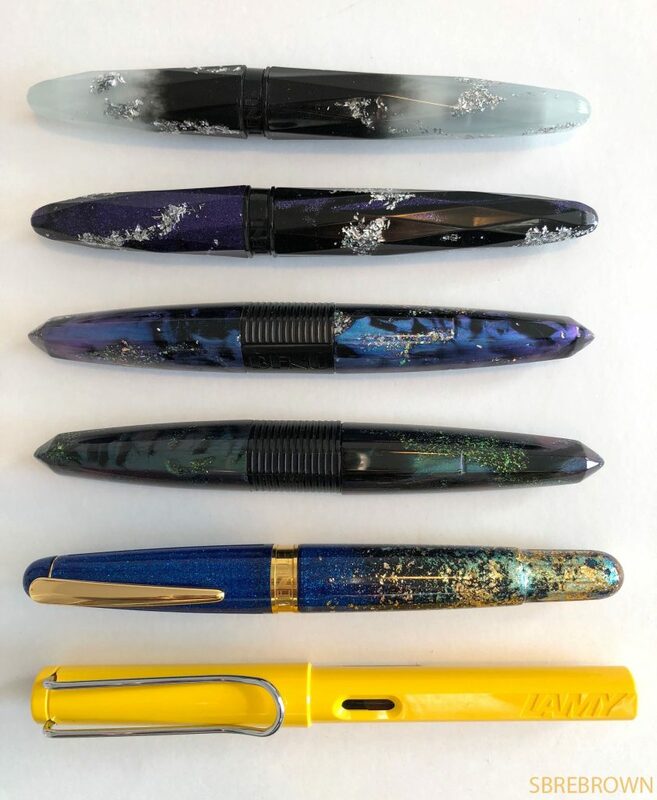 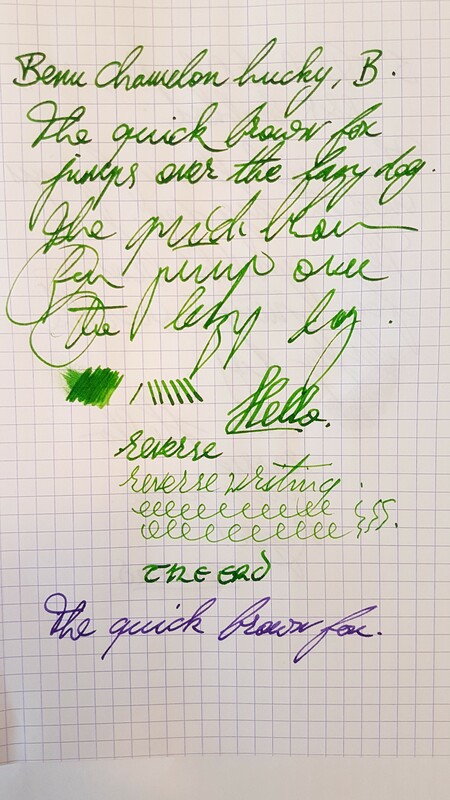 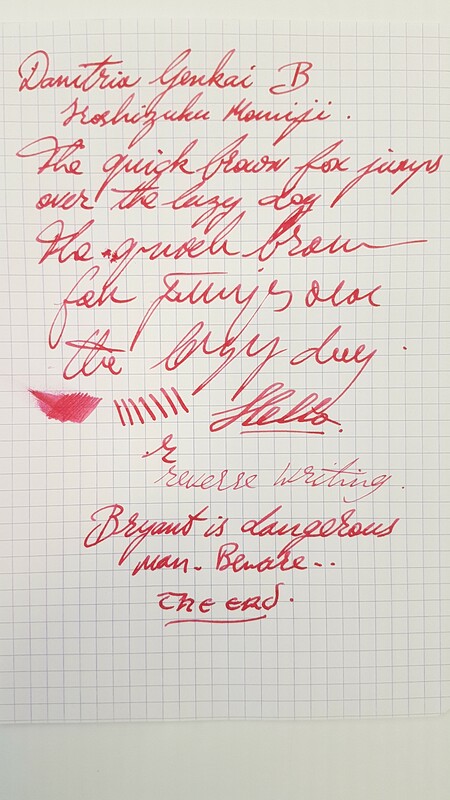 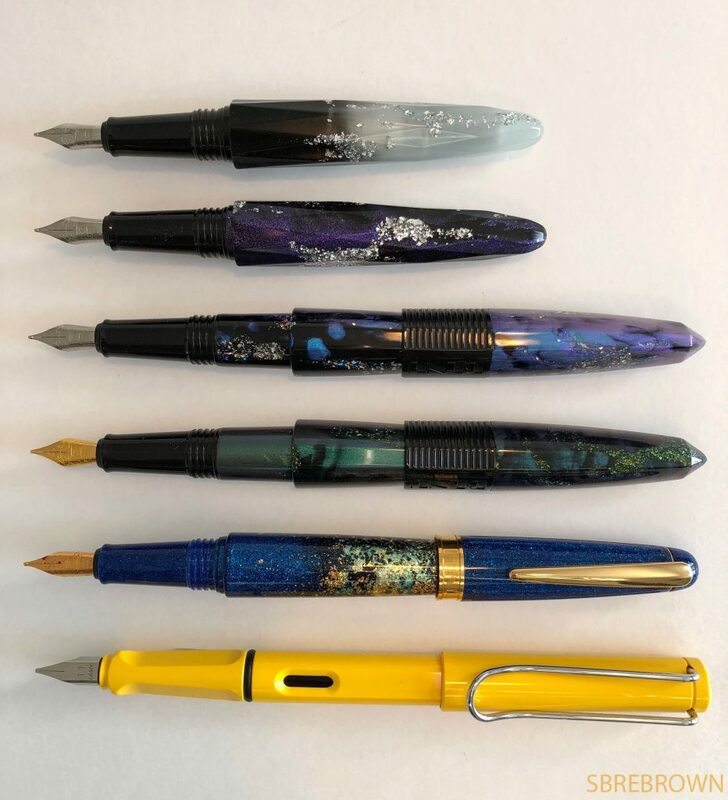 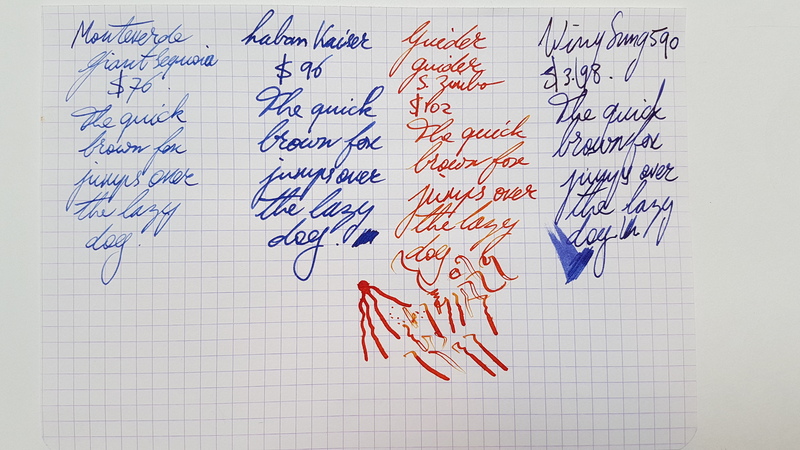 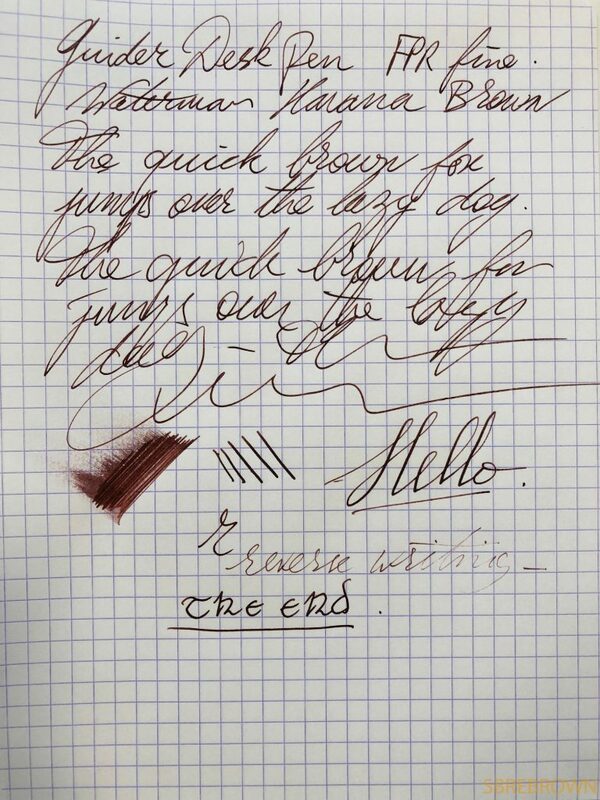 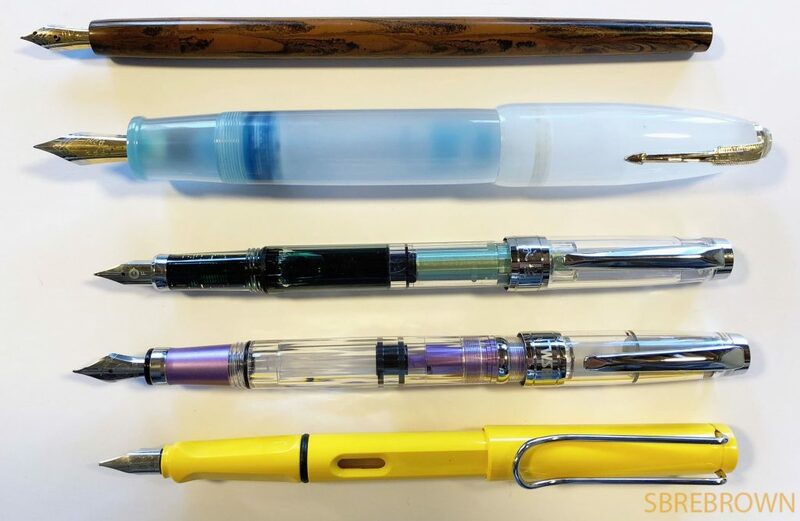 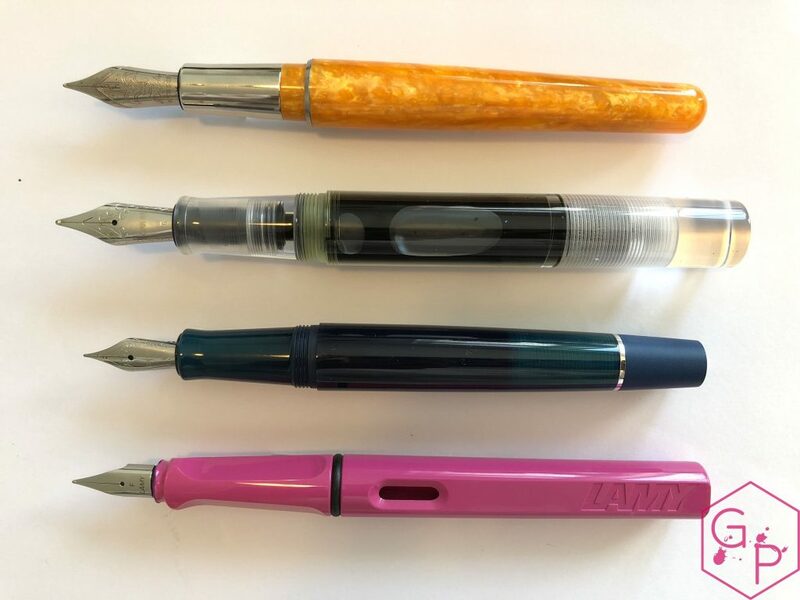 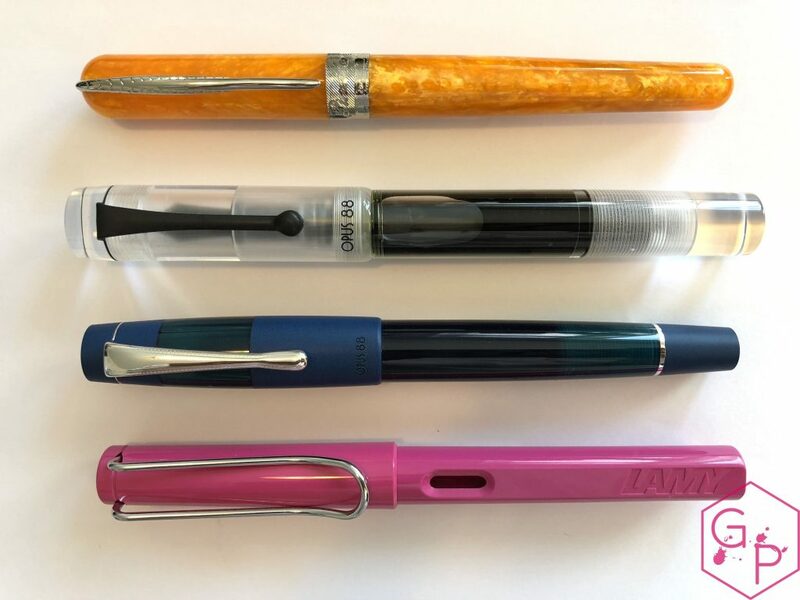 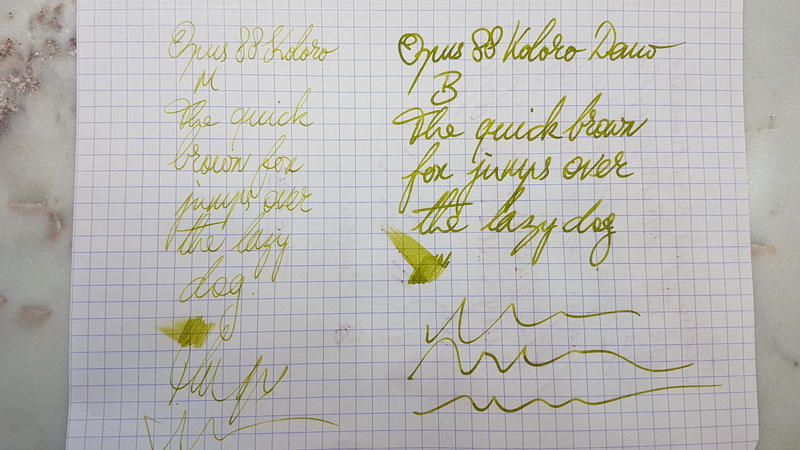 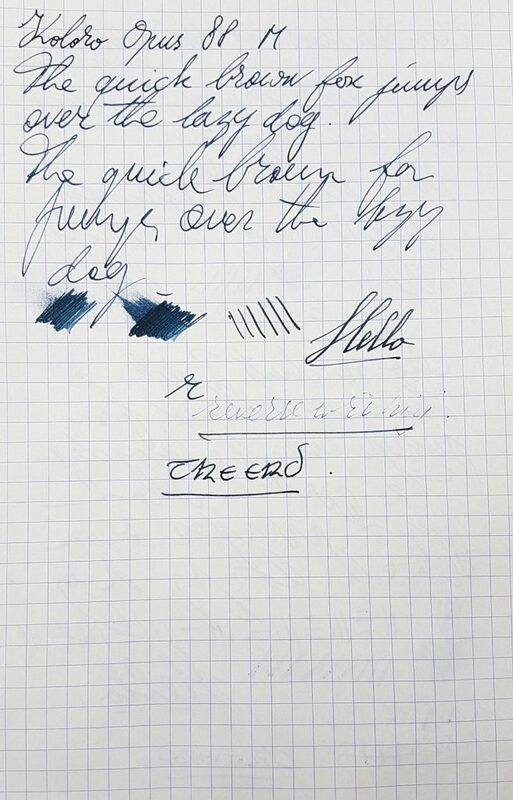 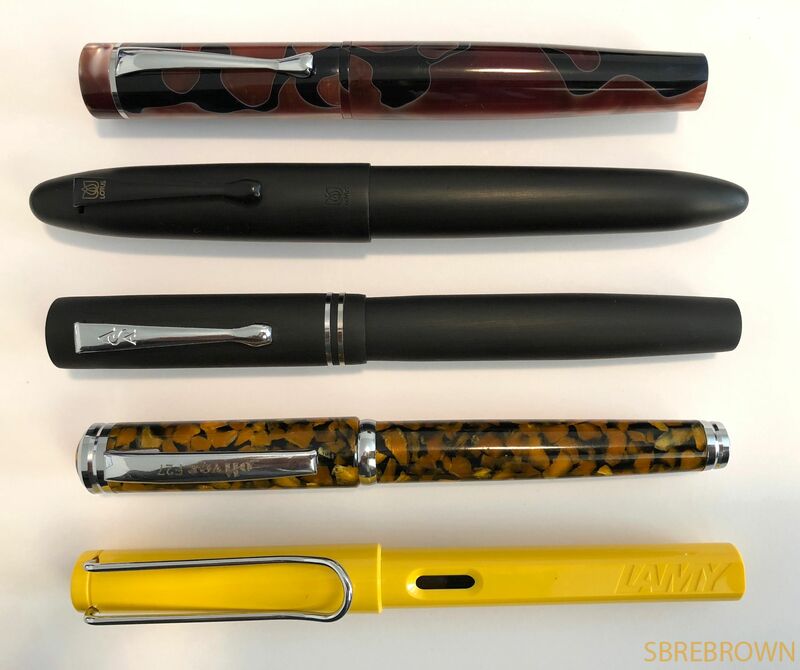 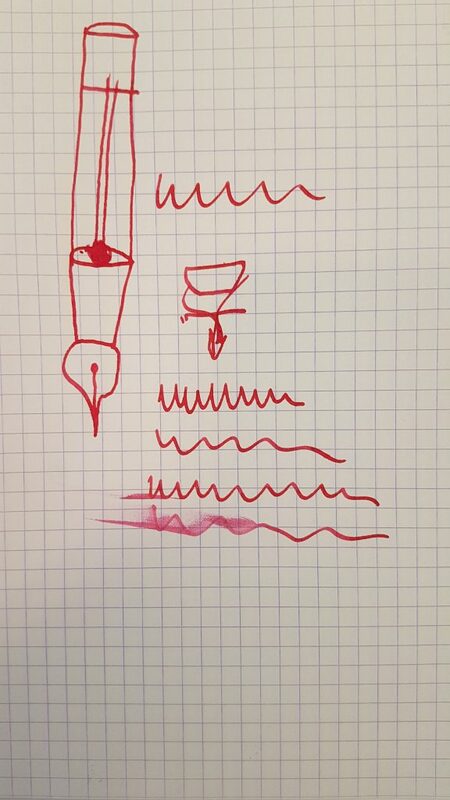 This entry was posted in Fountain Pen Shootout, Fountain Pens, Reviews and tagged Aerometric Converter, Cartridge-Converter, eyedropper, Giant Sequoia, Guider, Kaiser, laban, Large Fountain Pens, Monteverde, Oversized Fountain Pens, Steel Nib, Super Zimbo, Wing Sung 590 on June 11, 2018 by sbrebrown. 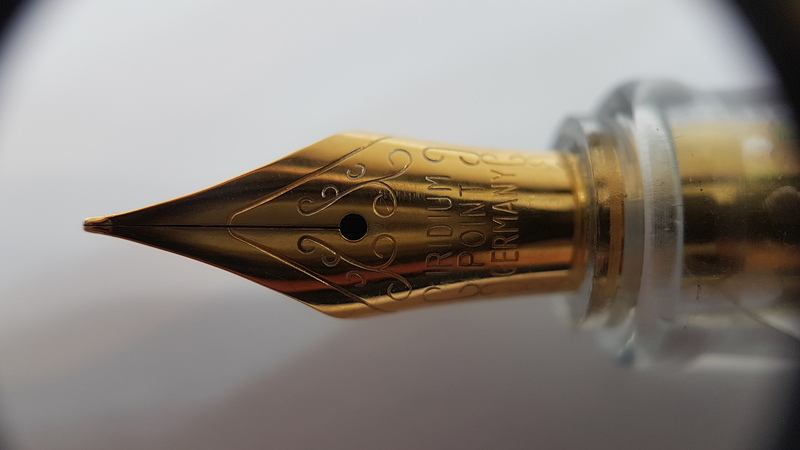 This pen was kindly sent to me by Kevin from Fountain Pen Revolution! This entry was posted in Fountain Pens, Reviews and tagged Desk Pen, Ebonite, Ebonite Feed, eyedropper, fountain pen revolution, Guider, Steel Nib on April 23, 2018 by sbrebrown.